Choosing your wedding theme needs a great deal of thought as well as planning and preparation. You need to take a lot of factors into consideration such as the weather and the season etc. This article will try to give you some ideas about how to turn your wedding into a real eighties fest! The eighties were a time of banana clips, blue and pink eye shadow, break dancing, cabbage patch dolls, coloured mascara, skateboards, skinny ties, soda streams, Who shot JR campaign, winkle pickers and of course the creation of New Romantics music. There were also some huge fashion trends of the eighties including leggings, perms, leg warmers, shoulder pads and headbands, some of which continue to come back round into fashion. They might not all be suitable for wedding attire of course but your guests might enjoy dressing up in their eighties gear. 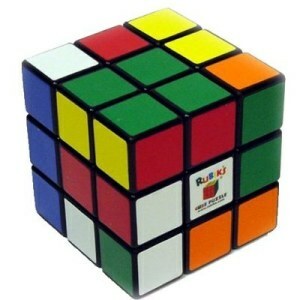 Buy or create Rubik cubes for your wedding favours. Check out the charity shops for any eighties memorabilia and clothes, you may find some great bridesmaids dresses. Find a venue with a working disco ball and decorate with twinkle lights, streamers and balloons. Hang posters of the stars of the eighties on the walls and on top of tables. Have some extra fishnet gloves, wigs and bracelets to hand out in case some of your guests do not participate in the dress up theme. Have your tables 'named' with either famous film stars or pop bands. You could even inform everyone prior to the event which table they will be seated on and get them to dress in that style. Hire an eighties type band and they should be able to provide all the correct disco lights. See if they have any original LP's from that time as the sound quality will definitely be different. How about including a trivia quiz about the eighties on each table with the winner winning an eighties style prize? If you have access to a screen projector for the evening, why not include a slide show of photographs from the decade, of you, your family and of famous celebrities. Include novel pictures of the eighties on your wedding invites and use some of the expressions such as 'I love it when a plan comes together' and 'Don't Worry Be Happy' from that time. The best thing that you can do is to shop around for any usual items from the eighties and include them in your decor. Bring back memories of the eighties to your guests in the form of decoration on your cake. If you don't want to go for the traditional wedding cake, why not create a centre-piece that no one will forget. You could include one of the many neon colours that were the favourite of that decade or perhaps create a shape of your favourite cartoon character such as a Care Bear, a My Little Pony or how about a cake in the iconic Pac-Man shape and colour. Why not go for a Rubik cube wedding cake? Your buffet could include such items as pineapple and cheese sticks (in the hedgehog style of course), Vol-au-Vents, sausages on sticks, quiches, cream soda drinks, dandelion and burdock and everyone remembers the blamange in animal shapes don't they? You could remind everyone of the wonderful sweets that were around in the 1980's, sweets such as the Black Jacks, Dib daps, Drumsticks, Fizz Balls, Fruit Salads, Gobstoppers, Jelly Babies, Kojak lollies, Parma violets, Pear drops, Refreshers, Sherbet fountains, Space dust, White chocolate mice, White gems and who could forget the flying saucers? Include a selection of the sweets on the table and create a wacky favour that everyone will remember or go all out and base your dessert on the sweets of the eighties.